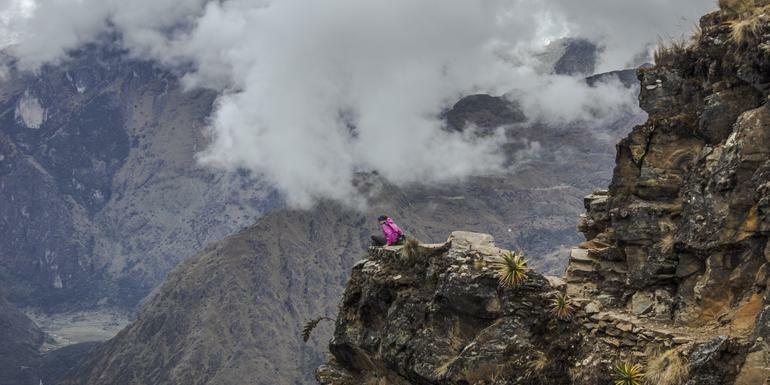 The ultimate adventure for altitude junkies with a love of history, this challenging 12-day journey snakes its way between the most incredible Inca sites in Peru. Conquer a mind-blowing trek to the mountaintop fortress of Choquequirao — free of tourist throngs — before continuing onto Santa Teresa, the backdoor to Machu Picchu. 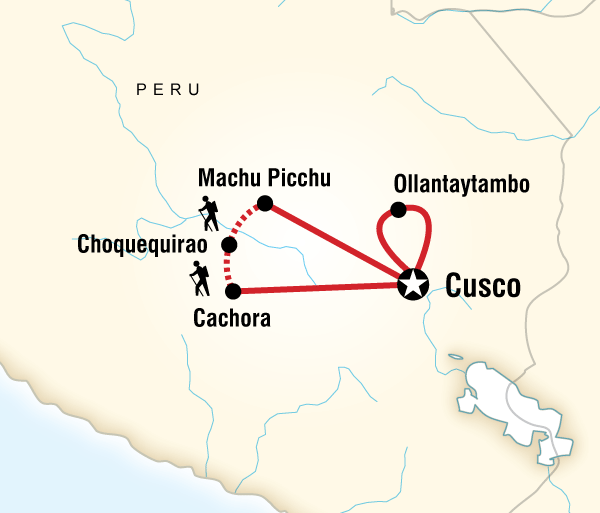 With guided tours of the Sacred Valley, Choquequirao and Machu Picchu, you'll gain a greater appreciation of the Inca Empire. And because we operate our own treks in this region, we can ensure the fair treatment of our porters and the quality of food and equipment. A great once in a lifetime experience. I felt well looked after. The guide was an awesome guy to be with very knowledgeable, considerate and friendly. awesome experience that includes fantastic sights and excellent food. From the parts of the tour I got to do and from the discussions had with my group members who did the full tour, I know enough that I intend to attempt this trek again in the future (and hopefully not get sick again)! Amazing people, amazing places, can't wait to do it again! For a city girl, the hiking and camping was an experience to remember. I learned about a new culture and met new friends along the way. This is an experience to remember, and I'm so glad to be able to share it with my Gadventure friends, who all understand what the trek was like. It was tough, but worth it for everything that we saw and the friendships made. Only ground transport Private van, hiking, train.